As part the state wide Campaign on “Teri Hayaat hai kirdare Mominah” (Your life in an example of a Believer) Girls Islamic Organization, the Gulbarga unit organising a District Convention at Mohammad Hussain Function Hall, MSK Mills, Gulbarga on Monday 22nd February 2011. Miss. 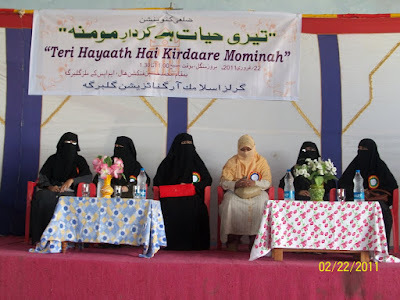 Rabiya Khanam, District Orgamizer, GIO Gulbarga in her speech on “GIO rab ki raza kay liye koshaan” said that GIO is a state-wide ideological girl’s organization which strives to bring religious awareness among the students and young woman, therby making them an epitome of an exemplary family system. Further, she praised the large gathering of 1150 girls and ladies which is a proof that our society is still conscious of their duty and not bereft of Iman. This Convention was presided by State President of Girla Islamic Organization Miss. 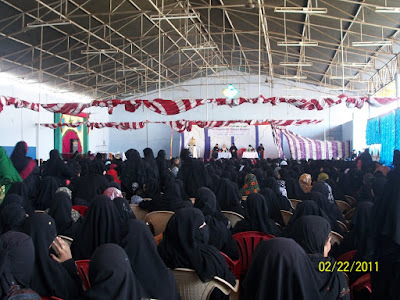 Madiha Afshan,Davangere addressing the audience pointed out the importance of being a True Mominah(believer).Quoting from the Quran she said that those who donot believe are worse than animals. Also while highlighting responsibilities of a Mominah, she said that being khair ummat, we have to invite others toward good and forbid them from doing wrong. Quoting the verse from Surah Ha Mee Sajdah “Repel (Evil) with what is better “ She said we should stop the people from telling lies by Speaking the truth .She also said that a Mominah is identified by her gentle dealings with people, she avoids unnecessary talk, is pure from proud and being haughty, and she is filled with love for everyone. Allah also loves people with these qualities and grants them paradise. Chief guest Miss. 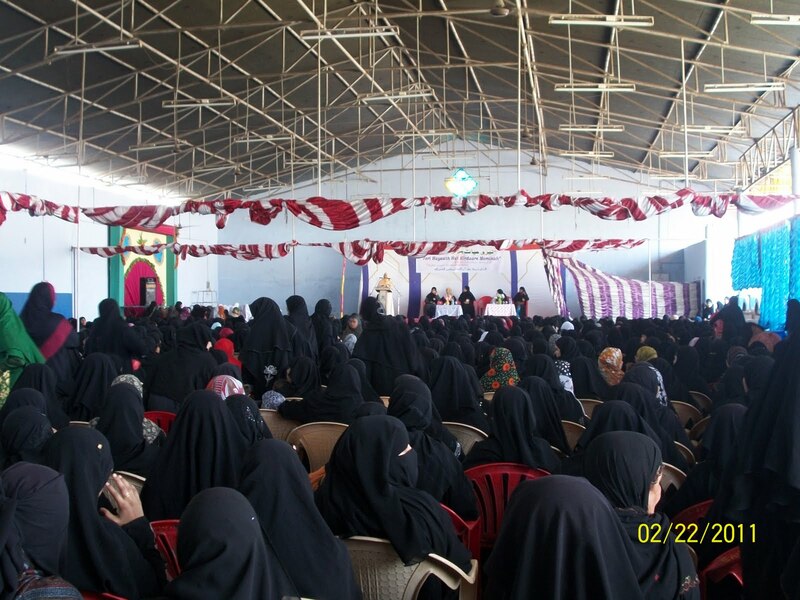 Asiya Sadaf , muallimah of Umm ul Khair Madarsa, Gulbarga brought the attention of the audience towards a Beliving woman. 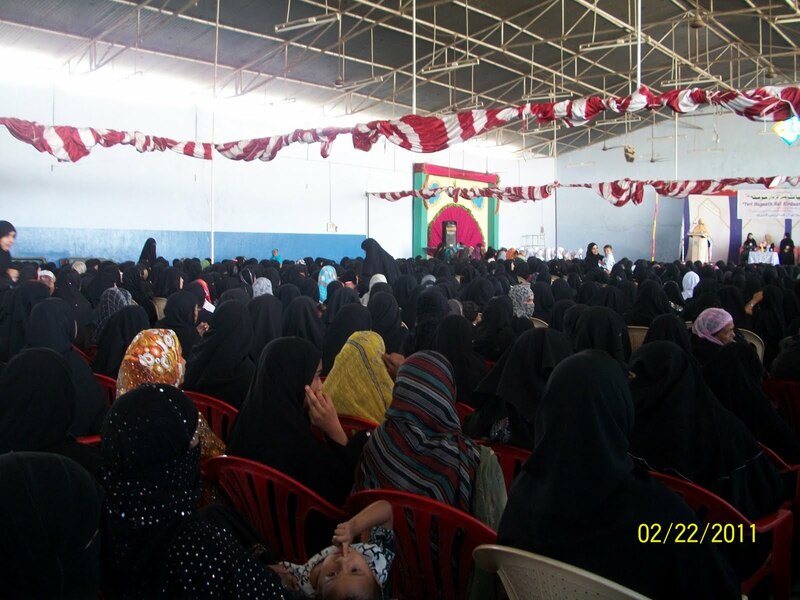 She said a beliving woman(Mominah) is a source of bringing revolution in home and society. Children are brought up in a mother’s lap. Therefore it is necessary that a lady should be religious.She further said that we should follow the examples of Hazrat Asiya, Bibi Maryam , Khadija (r.a) and Fatima (R.A). Miss. Sameena Parveen , Alimah, Khair ul uloom lil banaat, Gulbarga, said that we should Obey Allah and His Messenger in every aspect of our lives, and tell the truth always. And be patient when faced with difficulties and always remember Allah. A Drama was presented to instill inthe spirit of students and young girls that even in the present day environment they can remain steadfast on their Iman and help in reconstructing the society, through their roles as mother, sister and daughter. Finally the program was concluded with vote of thanks.Students and Young girls from Yadgir, Sedam, Shahbad, Jewargi were also a part of this gathering. Sister Bushra Fatima was the Convenor of the program. Miss Sara Iqbal, President Girls Islamic Organization, Gulbarga unit welcomed the gathering. 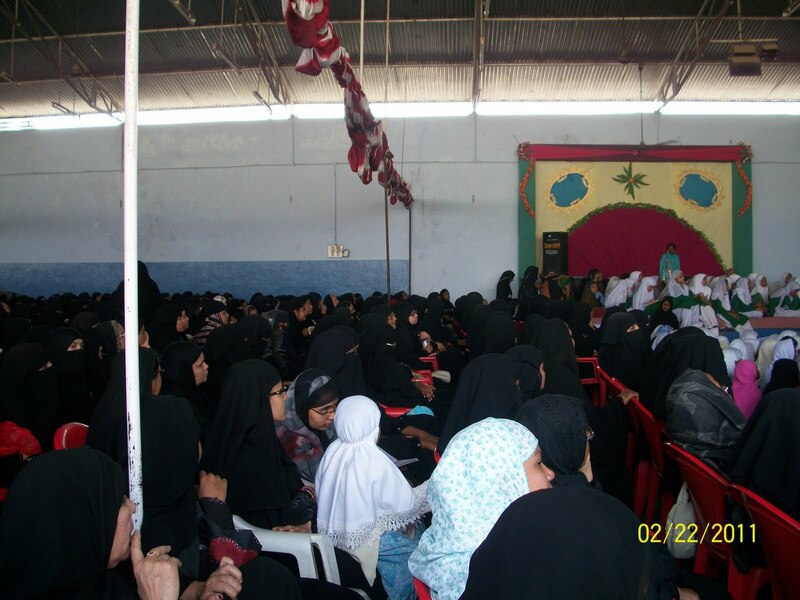 The program began with recitation of the Holy Quran by Hafizah Syeda Ayesha.